Completely original 1973 Corvette L82 T-TOP, 4 Speed, & ROLLING CHASEY (NEWLY RESTORED): Car has been completely disassembled. 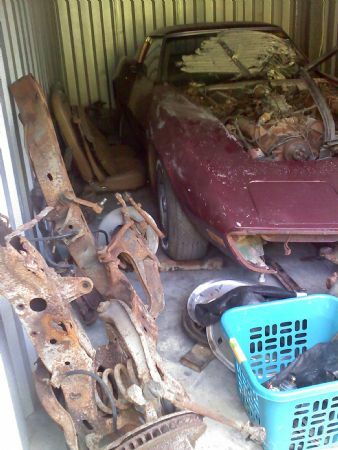 ALL original parts included; body, frame, wheels, chrome, interior, T-Tops, etc. Rolling chasey was purchased seperate from car. Started off the frame restoration and ran out of money. Serious inquires only! 281-250-1521.